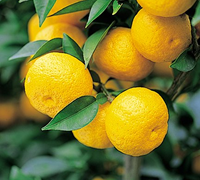 Language of the flower： Yuzu is an evergreen tree of the tangerine family. It is originally from around the Yangtze River. It came to Japan through the Korea Peninsula. 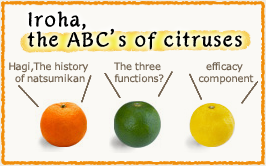 Yuzu is a fruit that was fit into the lives of Japanese people in the olden times. 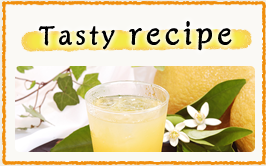 From the Yuzu peel and the juice, we can smell the fresh, and elegant scent. 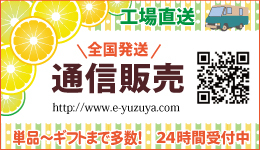 You can find the special fragrance from Yuzu will help you put work off and feel relaxed. 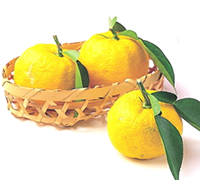 When you use Yuzu on your dish, we recommend you to use yuzu on the dish in which you can enjoy the special gorgeous scent and flavor. We use Yuzu to give a kick to the dish and if you use it, it will enhance your dish even if you use it in a small amount. 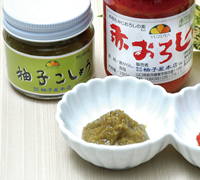 Additionally, when you use Yuzu juice, yuzu miso paste or yuzu kosho, they will be the fabulous seasoning you can enjoy by adding yuzu flavor and aroma fully on your dish. Protection from Cancer, Alzheimer, releasing of stress, mental stabilizing effect, protection from constipation and improvement of diuretic action, protection effect from obesity, high blood pressure, protection from cerebral stroke and improvement from the disease. Protection from hardening of blood vessels, producing beautiful skin, protection from cancer, reinforce your immune system, improvement of freckles and mottled skin, anti aging production of collagen.